It seemed like I’d only been home for a few hours when the phone rang. It was my son. I agreed. My wife and I had just returned from my father’s funeral in North Carolina. I was fortunate to be able to spend some time with him before he passed. George Liset writes about his love for fishing, especially fishing with his family. I had brought my IPad loaded with fishing pictures of all the fish we had caught last year. It made him smile, especially the pictures with my son and all his trophy fish. 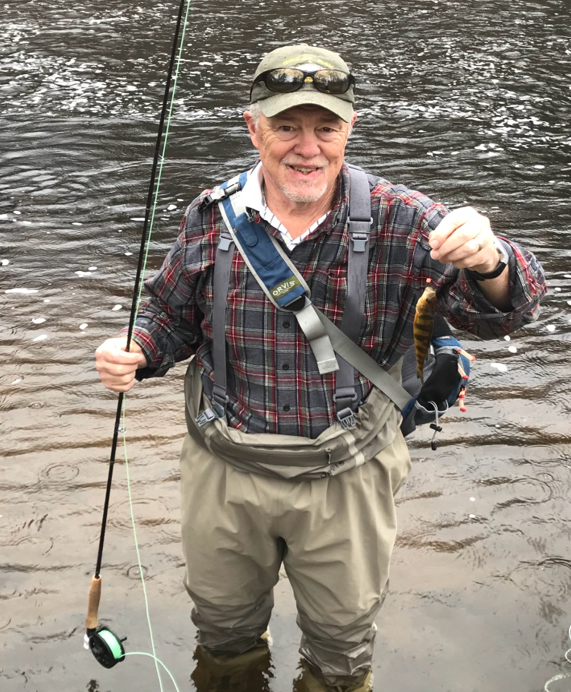 When I would call my dad on the phone, the first thing he would say was, “I bet you are going to tell me some stories about all the big fish you caught.” I’d laugh and say that I had probably caught a few trout, but nothing to brag about. He would then tell me that he and his buddy had gone up to the river and caught a bunch of Crappie, ( Sunfish and Bluegills), and had made a day of it. We would talk about the weather, his garden and sports and what was going on with the family. Our conversations were always lively and entertaining. My father was a career Marine, a veteran of the Occupation of Japan, Korea, the Cuban Missile Crisis and two tours of Vietnam. He was buried with full military honors. The service was impressive. I sort of lost it when they handed me his flag from the coffin. As I drove up to the river the next day, I had plenty of time to think about all the times we had gone fishing together. My earliest memory was night fishing off the piers on the North Carolina shore. I can recall seeing all the schools of fish swimming under the pier. Another time, at a family reunion in Harmony, Wisconsin, we were fishing for Sunfish and Bluegills on Lake Ten. We were in a little row boat with about two inches of freeboard. We must have caught about thirty fish and had a great family fish fry after. Although my dad didn’t care to eat fish, he always liked to catch them for others who did. 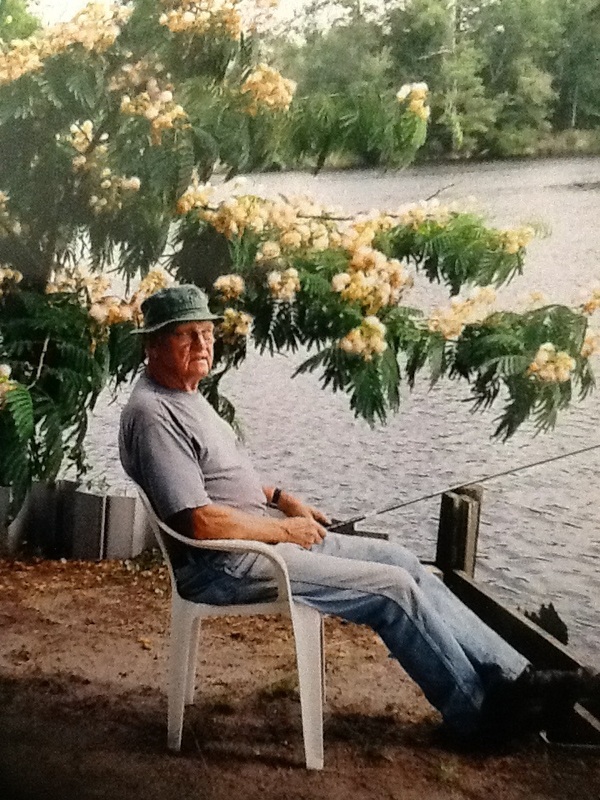 A summer ago, we headed up to the river to fish off his dock. I was using an old fly rod he had lying around and he was drowning worms. We caught a mess of fish then too. Fishing with dad was probably the most relaxing thing we did together. When I pulled up to the river to meet my son, the weather had gotten colder and was overcast, a sure sign the fish would be hugging the bottom and wouldn’t be active. We tried dredging the bottom with weighted nymphs, but to no avail. We were thinking about G Paw and how much he would be missed. After a few hours of half-hearted fishing we packed it in. On the way back to the trucks, my son started to chuckle. I asked him what was so funny.